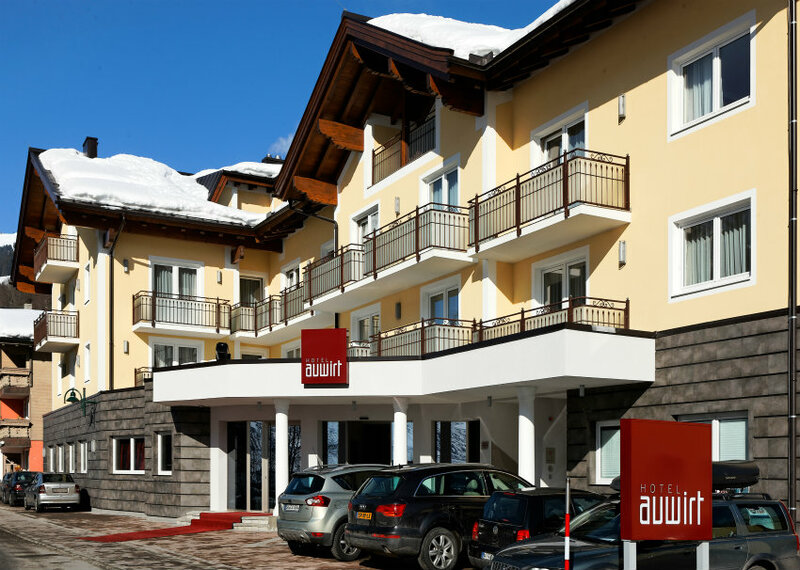 The Hotel Auwirt is located in the resort centre with the shops, bars, restauarants and lifts and slopes all within a couple of minutes walk. The nearest ski lift (Schattberg X-Press) is around 100 metres from the hotel, the ski bus stops within 50 metres of the hotel and, snow permitting, it is possible to ski back to the hotel (opposite side of the road). Mixing a modern style with a touch of traditional wood, the Hotel features a large reception area and lobby, café, bar, reading and relaxing area, TV room, breakfast room, lift, ski and boot room and luggage storage room. WiFi is free of charge and there is some free parking outside of the hotel. 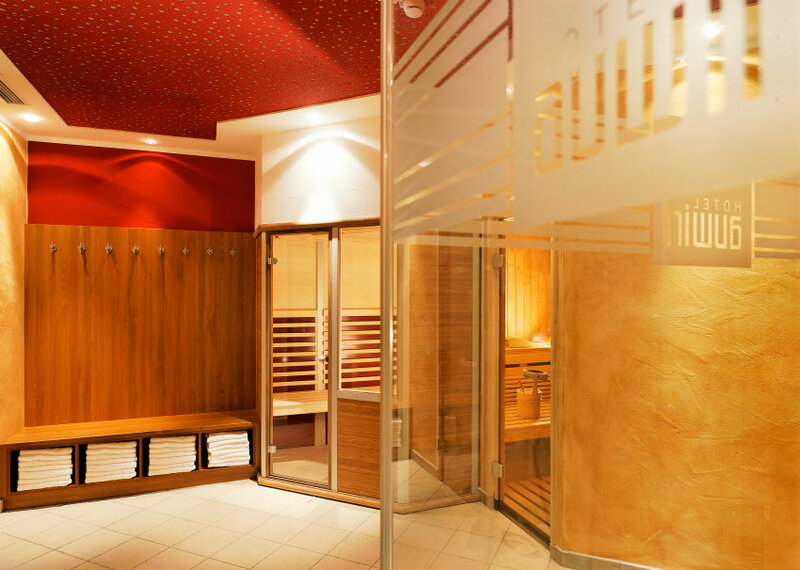 The Hotel offers a small Wellness area with saunas, steam room and a relaxing quiet area. Facilities are available 4-8pm (or as posted locally) for guests over 12 years of age. Please note that the hotel is non-smoking throughout. Major credit cards are accepted. Please note that the local tourist tax of €1.70 per person (over 14 years of age) per night is payable locally. With traditional wooden floors complementing the clean, modern design, all rooms are ensuite (shower/bath, WC) sleeping 2-3 guests and feature a balcony, free WiFi, radio, telephone, cable-TV, safe and hairdryer. Bathrobes and slippers for the Wellness area are available free of charge from the reception. Accommodation is on a bed and breakfast basis with an extensive hot and cold buffet breakfast. 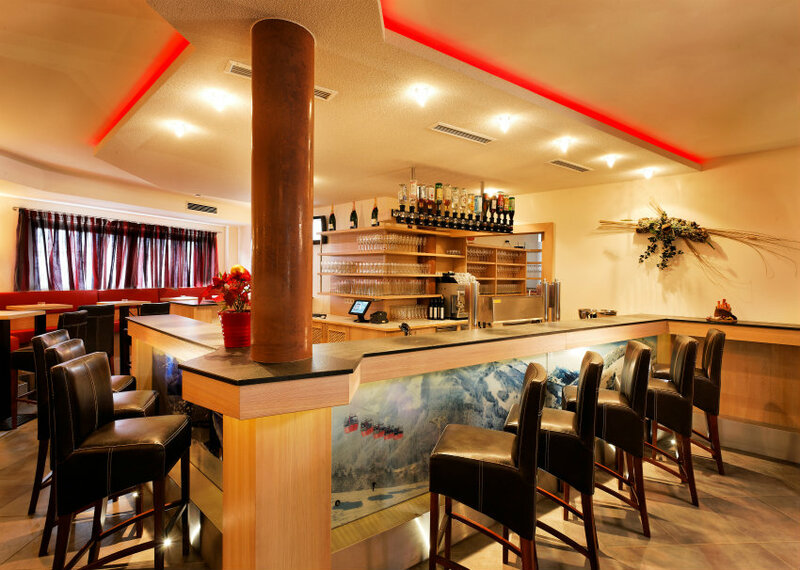 Saalbach offers a great choice of restaurants from traditional through to international cuisine and eating out is very good value. Sister Hotel to the Hotel Herzblut, the Hotel Auwirt mixes modern with traditional design and enjoys a better location than the Herzblut with the lifts, slopes and attractions of Saalbach all on the doorstep. With accommodation on a bed and breakfast basis, guests can enjoy eating out in Saalbach where there is a great choice of restaurants. Let us know what you think so we can share with others.